Today we are finishing up the Miami Dolphins Prize Wheel! This Prize Wheel is 96″ in Diameter–That is 8 ft!!!! This prize wheel has over 200 white Blinking LEDs! This Huge Prize Wheel is leaving rainy New Jersey today and heading down to the Miami Dolphins Stadium! This is the biggest Lighted Prize Wheel we have ever done! It is arriving for their Fins on the Clock Draft Party on Thursday April 28th! If you live near the Miami Dolphins Stadium try to get down there to see this Huge Prize Wheel in action! Keep Checking Spinning Designs’ You Tube, Flickr and Facebook account for new videos and pictures of the Miami Dolphins Prize Wheel. This entry was posted in Uncategorized on April 25, 2011 by spinningDesigns. Do you need something to increase your sales? Maybe something to keep your customers coming back? Try out a Promotional Prize Wheel and help boost your sales! At Spinning Designs we make completely Custom Prize Wheels. We can help you get the sale increase you want to see. Even an 18″ Prize Wheel can give you that extra boost you need. Offering discounts can be great to attract customers new and old. However, giving them a chance to spin the Prize Wheel can bring more excitement to your business! Also, for trade shows put a Prize Wheel with a Floor Stand at your booth and watch the lines form! On your prize wheel you can offer discounts, merchandise, trips or money! Dry erase prize wheels are great to quickly change your prizes as you run out of them! 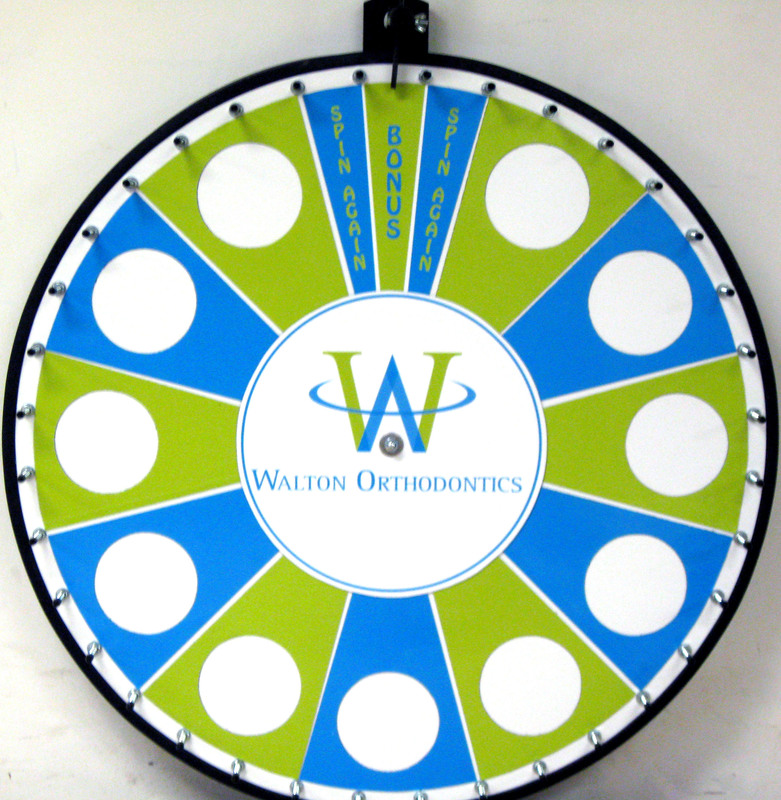 Insert your Own Graphics Prize Wheels are great to have a more buttoned up look on your Prize Wheel! This entry was posted in Uncategorized on April 18, 2011 by spinningDesigns. 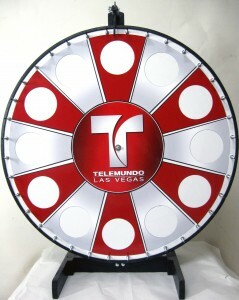 Prize Wheels are great for any event, party or trade show! Customers love to Spin to Win discounts and special offers. We have done many prize wheels for schools, orthodontics offices, Bars and Restaurants and other companies who want to bring more attention. We offer all types of Custom Prize Wheels. All of our Custom Wheels come with your choice of Custom Graphics! When you order your Custom Prize Wheel from Spinning Designs you will get to work with our Graphic Designers to get exactly what you would like on your Prize Wheel. Our Designers will go back and forth with you as many times as we need to get your wheel to your specs. You will get your colors, your logo, your choice of sections and as many renditions as you need! 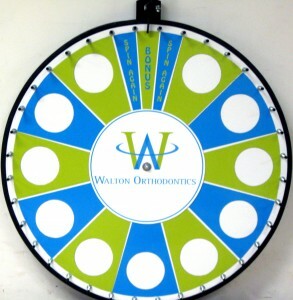 Add a Prize Wheel to your Marketing efforts and watch your sales grow! This entry was posted in Uncategorized on April 4, 2011 by spinningDesigns.